Reading, MA – The Boston Globe has released their list of the Top 100 Women-Led Businesses in Massachusetts. RCB President & CEO Julieann Thurlow was ranked #91 out of more than 2,500 companies in the Commonwealth. 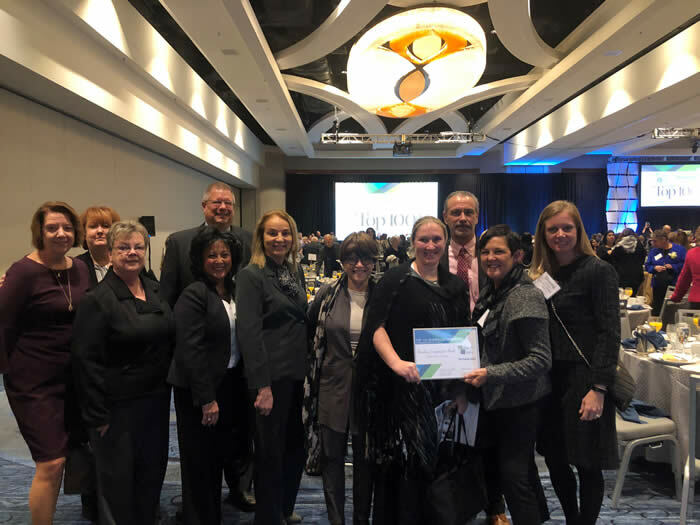 Those named to the list were honored by the Globe at an awards ceremony which took place on Friday, October 26th, at the Marriott Copley Place in Boston. Julieann joined Reading Cooperative Bank in 1993 and rose through the lending ranks to become its president in 2006. At that time, the bank had four branches and $237.6 million in total assets, and now has assets of $560 million at 8 branches. Julieann is also a board member for the American Bankers Association and presently serves on its Government Relations Council and Membership Council. She serves on the boards of Bankers’ Bank Northeast, the Cooperative Central Bank of Massachusetts and is the Board Chair of the Lahey Hospital Continuum of Care Board. Click here to read the full article from the Globe.